The ceremony included poetry from the artist, K Love, a rendition of Andra Day's "Rise Up," and various Black women leaders gave powerful words. This was all facilitated by two gracious hosts. The end of the ceremony honored the new inductees. I heard Black Girl Magic a lot on Wednesday and the phrase can make the moxie of Black femmes mythical. The pull and tug of misogynoir seem like this unreal and distant thing. It can be overused. And as real as all of the "isms" are, Black Girl Magic prevails. Because that's just it. Black Girl Magic is about the triumph after the trial. Because Black girls already know about the "isms" of the world, and we want to celebrate the fact we've not only survived them, we are impactful, successful, and happy despite of them. 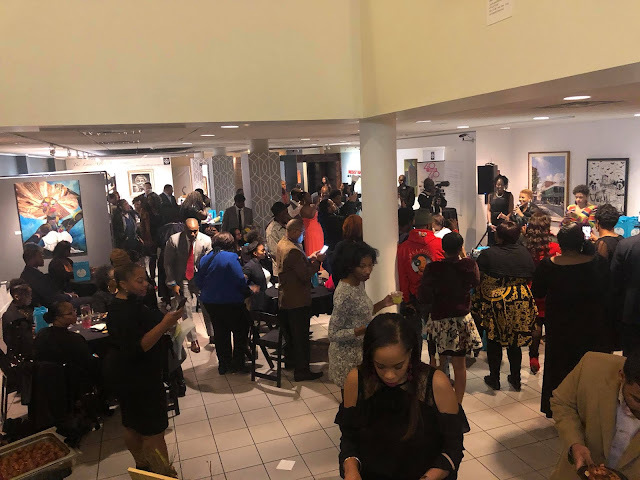 That was the kind of celebration that took place at the DuSable Museum on Wednesday night. 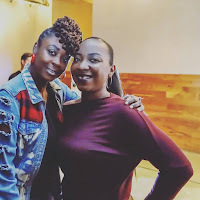 Check out my full interview with Cheresa LaFrances.